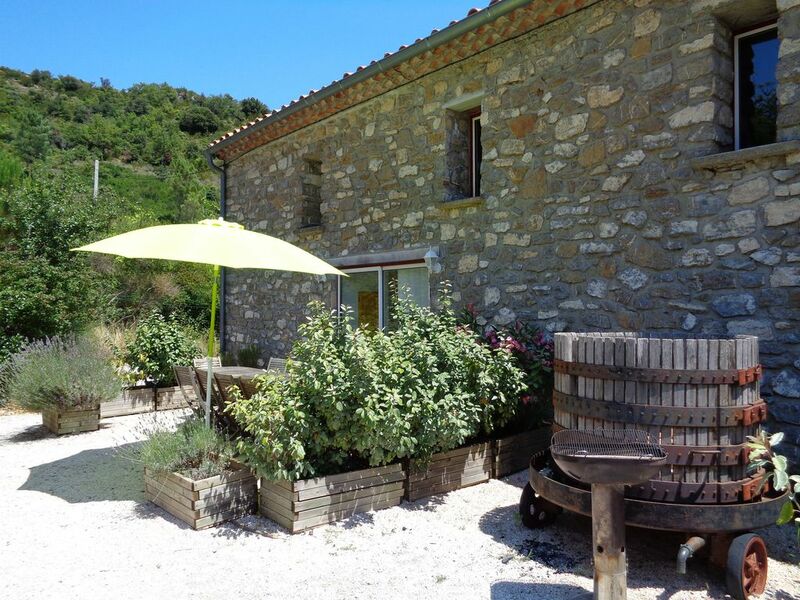 The cottage "La Coumo" was created in the old cooperative cellar of Massac. The kitchen, the dining room and the living room are 3 wine cellars that you will recognize thanks to the rounded corners and the small door of visit. The cottage has a large terrace with exotic wood furniture. Inside, the decoration is simple and modern and the equipment is complete. Upstairs 3 bedrooms, one with its own bathroom, another with a cot and a third yard with toilet and mezzanine which can accommodate 5 people. The place is quiet, the scenery is beautiful. In the surrounding area, you can go hiking, mountain biking, white water sports or discover the historical heritage (citadels of vertigo) or the vineyard.